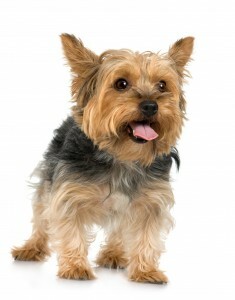 Q. I have two small dogs who walk twice a day in a heavily wooded area and inevitably I find tick and/or fleas on them. Please tell me that your product really works and how often I have to use it. Is it twice a day if I walk them twice or once a day will prevail for both walks? I am desperate to find a natural flea control as I will not use toxic pest control. Thank you so much. 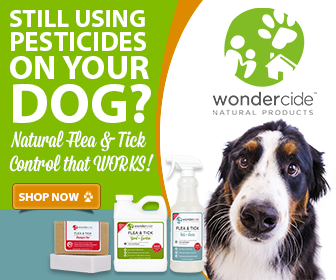 A. Wondercide Flea & Tick Pets & Home Flea & Tick Spray is the product recommended for the type of activity you are describing. We have thousands of happy customers that successfully use our natural products as both repellents and contact kill applications. Typically, applying Flea & Tick Pets & Home Flea & Tick Spray once a day is sufficient to protect your dogs on multiple walks. However, we recommend using the product to find what works best for your dogs, local environment, and level of pest pressure. Flea & Tick Pets & Home is a natural flea and tick control that can also be used to kill any fleas or ticks that have hitched a ride home on you or your dogs. So you may consider spraying them once for the repellent effect, but checking them after each walk to ensure they are free from fleas or ticks. 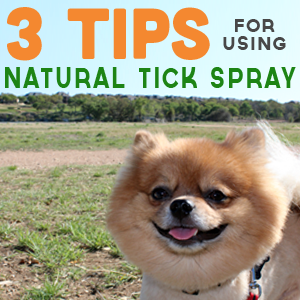 If a flea or tick is found, you can simply spray the dogs down to eliminate the pests. My babies, a chihuahua and chorkie are so thrilled on their bi-weekly bathes….Sitting in the sink, on a towel of course, they love being Wondercided and blow-dried. They sleep very well….clean, Wondercided…no bugs, and conditioned skin ! Your natural insect repellents for people and pets are great. It not only repels fleas, ticks, mosquitoes and other biting insects, it leaves you smelling like the fresh outdoors. Thanks for the info and great products! I was very hopeful when ordering the trial size of Evolv. I have a small 3lb Yorkie that has been picking up a flea or two on our daily walks. I used the entire trial sized bottle on him so that I could get every exposed area. We went for our walks and at the end end of the day I checked him for fleas with a flea comb . He had more fleas then I have ever seen on him !!!! So I should have listened to the bad reviews I read prior to ordering. Good morning, Denice! Thanks so much for your feedback and our apologies the Evolv did not work as well as you had hoped. While there are a few bad reviews on the site among the thousands of positive reviews, as you mentioned, we are so appreciative for the opportunity to work with each of our customers on a case-by-case basis to ensure we can help with our customer’s individual needs. You mentioned you ordered the 5ml tester to cover your Yorkie. This tester is intended to give folks an opportunity to try out each of the fragrance options and get a feel for the product, but is not sufficient for an entire application. We’ve recently increased our tester sizes to 1-ounce and will be sending you a 1-ounce replacement so you can try the product again with a full application. I hope this helps! Fleas are especially active this year and originate outside. If the community you took your pets for a walk in has not been treated, it’s likely that fleas are very active. For any type of infestation we recommend a 3-Step approach to treat the outdoor environment, the indoor environment in your home, as well as your pets. Spraying your dog right before you take him on a walk will help provide the most protection from untreated areas where a flea infestation may be possible. Additionally, checking your pets immediately upon return from the walk will provide the opportunity to use Evolv as a “contact kill” to take care of any pests that may have been picked up during your walks. Again, we appreciate your feedback and will be sending out a larger tester for you shortly! You may want to be careful about the frequency of spraying the Wondercide on your small dogs. For the last four days I have had a raging headache. I finally realized the headache was directly related to spraying the Wondercide. My dog always picks up fleas when we walk outside, so I would lightly spray her before we went out to repel the fleas, and lightly spray her when we came back inside, if she started scratching and biting. I have been diligently trying to protect her and my home from fleas using the Wondercide in this manner for the past few weeks. A head to tail light spray very rarely took care of all the fleas, as she would begin to scratch and bite soon after the spray and periodically throughout the day, so I would spot spray her several times throughout the day, hoping to spare her from the flea bites. She started wanting to go out more than usual and I found that a little odd. I also noticed after she used the bathroom that her stools were smaller than usual. This can all be circumstantial, but I was beginning to develop headaches that I couldn’t get rid of. I don’t get headaches. They were really painful and started rolling from one day to the next, and then it was one long headache. It finally dawned on me that there was probably an association between the headaches, her wanting to go out so often for fresh air and the Wondercide. I stripped the bed, turned on the fans to air the room out and washed her off. It took about five hours but my headache disappeared. My dog hasn’t scratched any more frequently than she did when the Wondercide was on her. I still believe Wondercide works to a certain degree, but now I am worried that if it caused me headaches, has it caused any harm to my little 20 pound dachshund. I am by no means saying that the Wondercide does not work, but perhaps some people and dogs are more sensitive to the ingredients. Thank you for taking the time to share your feedback with us. 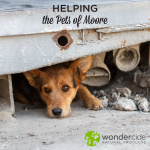 We’re glad to hear that you are actively searching for safe, natural solutions to treat your dog and that you have chosen Wondercide to do that. We believe in creating natural alternative solutions for pets that are effective without containing toxic chemicals. All pets, like people, are unique individuals and can have their own levels of sensitivity. With that said, we want to assure you that all of our products are made from safe, natural, human-grade ingredients that have no toxic effects and will not harm you or your beloved Dachshund. Which scent were you using when you were experiencing the headaches? We do have three aromatherapeutic scents of our Pets + Home spray, and you may find some to be milder than others. Many find the cedar scent to be the mildest of all three, so perhaps you would find it works for you. 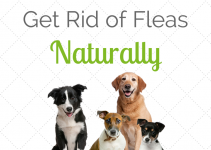 Additionally, you may try some of our other products for natural flea protection. For instance, we have a great Flea & Tick Shampoo Bar, and many customers report success using Skin Tonic Spray as an additional layer of protection against pests, since it contains Neem oil, a well-known bioinsecticide. We hope this helps, but feel free to reach out with any additional questions. Cheers to you.